Holland America Line has organized a dance competition in which 15 guests can win a free cruise and a chance to compete for a Mirror Ball Trophy on the “Dancing with the Stars: At Sea” Champions Cruise on Nieuw Amsterdam Jan. 12. The contest began Feb. 23 and continues through Nov. 25. Every sailing will feature a “Dancing with the Stars: At Sea” program that includes complimentary dance lessons with the ship’s dance professionals and a competition. Following preliminary rounds on each cruise, finalists will be paired with a Holland America Line dance professional to perform a routine and compete against fellow guests in the ship’s main show lounge. A judging panel — including senior ship officers, shipboard professional dancers and other cruise staff — will combine their scores with audience appreciation scores for a total tally to determine the winning guest for each cruise. In December, the guest champions with the highest scores from each of the 15 participating ships will win a free ocean-view stateroom on the Jan. 12 cruise. The Jan. 12 Western Caribbean sailing is also a “Dancing with the Stars: At Sea” theme cruise with famed dance professionals and celebrities from the ABC hit show onboard. 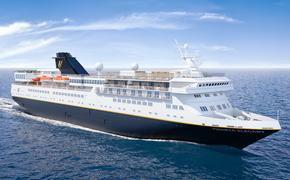 Five DWTS theme cruises are planned for the remainder of 2013 and early 2014. Currently scheduled themes include a June 22 seven-day Canada/New England cruise on the Veendam that will feature professional dancers Chelsie Hightower and Mark Ballas and star Shawn Johnson with more to be announced. The June 30 and July 7 seven-day Alaska cruises on Oosterdam will include professional dancers Kym Johnson and Tristan MacManus and stars Carson Kressley, Johnson and Sabrina Bryan. The Jan. 5 seven-day Eastern Caribbean voyage on Nieuw Amsterdam will feature Bryan and other stars and dance pros to be announced.